Portugal is well-known worldwide for its marvelous beaches and is beginning to take away tourists from other countries in Western Europe, and although the beaches are indeed spectacular, the rest of the country is equally, if not more, marvelous. 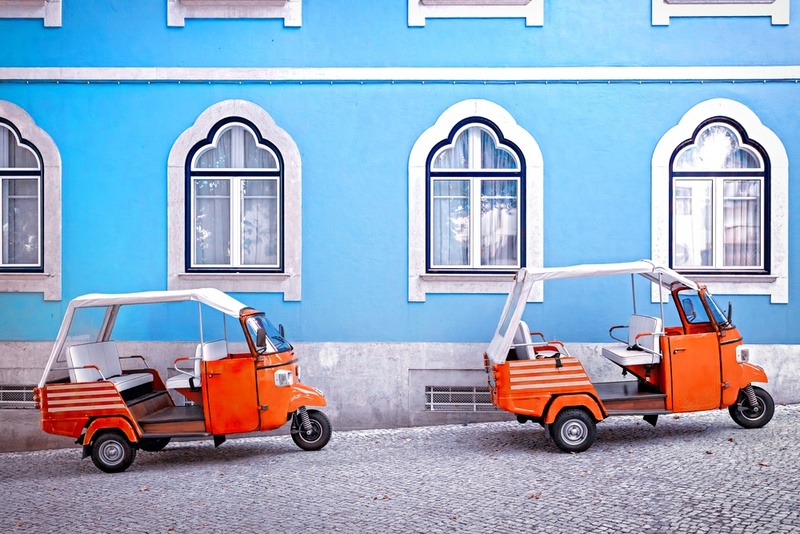 Portugal has a rich and complex history that dates back thousands of years. Today’s culture and sites are a fusion of all the civilizations that have passed through the country, including the Celts, the Romans, the Spaniards, and the Moors, among many others. It is a cultural haven and a paradise for foodies. 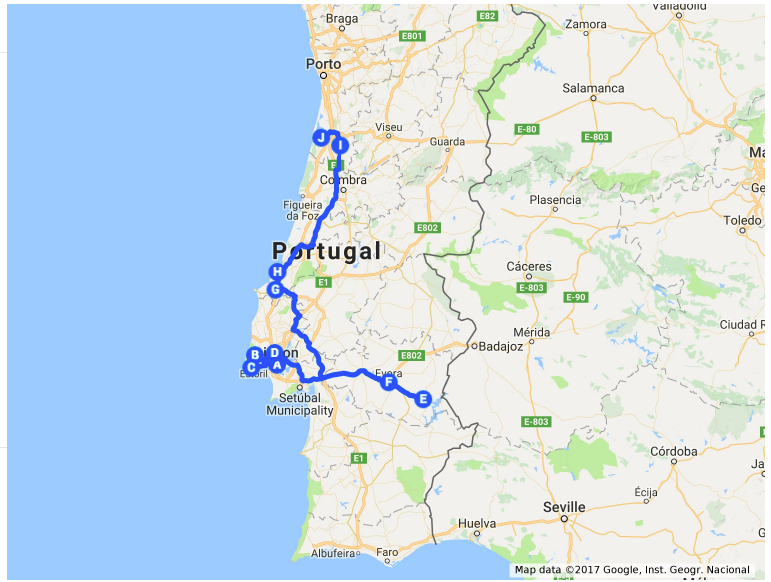 I recently took a 7-day road-trip around Portugal. Unfortunately, 7 days is not enough to see everything, but you can really experience and see a lot in that time because of the small size of the country. 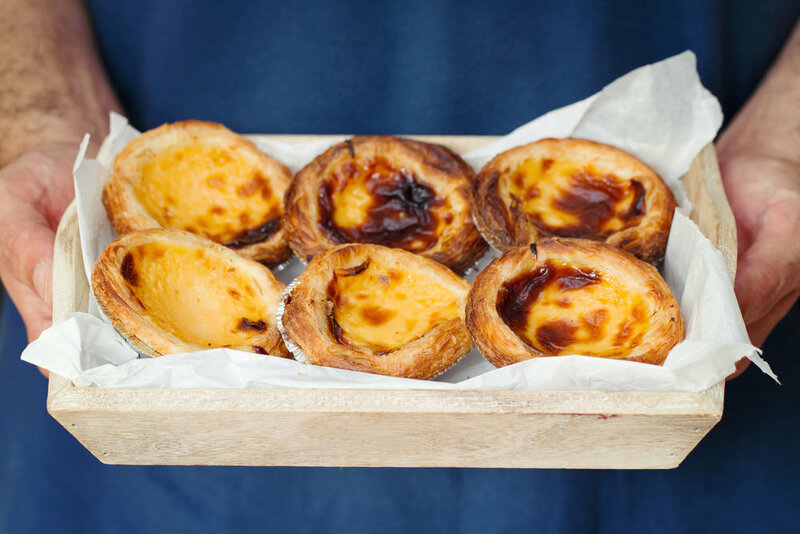 We had Pasteis de Nata, an egg-based pastry in a traditional restaurant called Pasteis de Belém . Words cannot describe the amazing flavor - both crunchy and creamy, sweet, yet not too sweet, and with a dab of cinnamon. 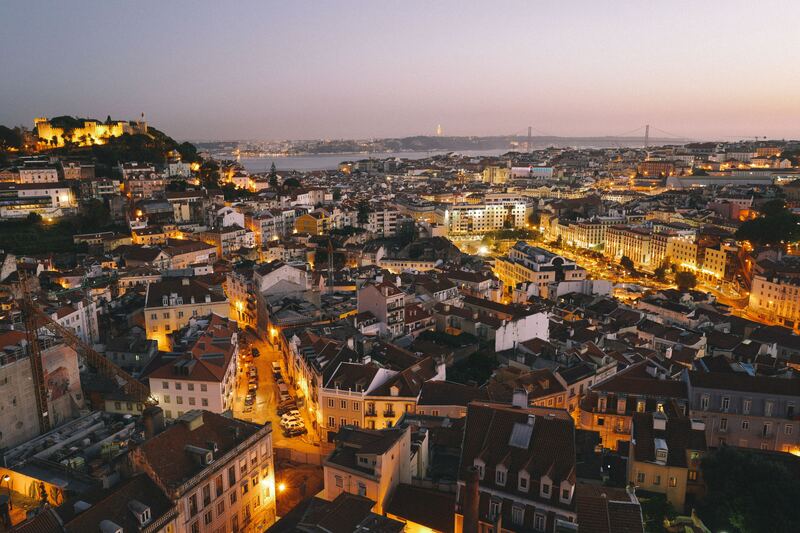 We began our trip in Lisbon, a charming and lively metropolis that lays splayed out over seven iconic hills, peering down onto the serene Tagus River. This is the perfect place to start your journey, and with its walk-able city center and iconic trams, getting around is a breeze. 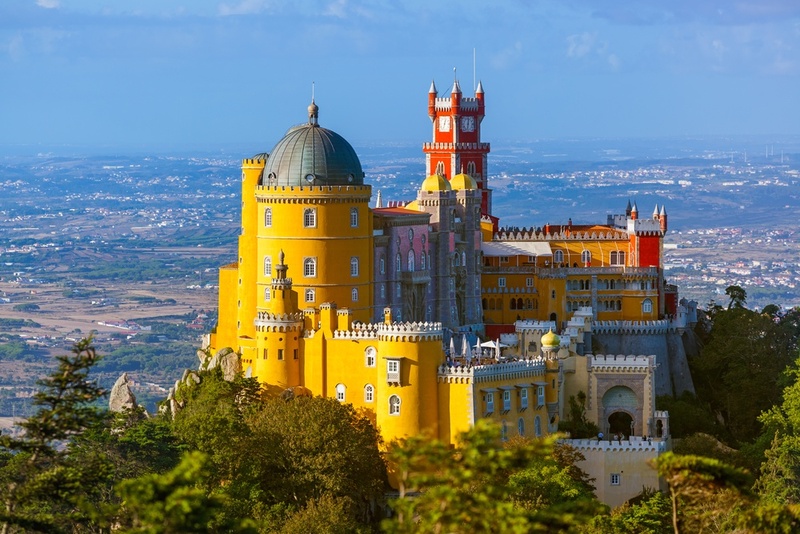 Lisbon is a fascinating mixture of medieval castles, affluent romantic buildings, traditional flavors, and contemporary architecture and cuisine. One could walk along the streets of Lisbon for months and continue to be pleasantly surprised at every turn. Sintra is the most photogenic town I have ever been to. 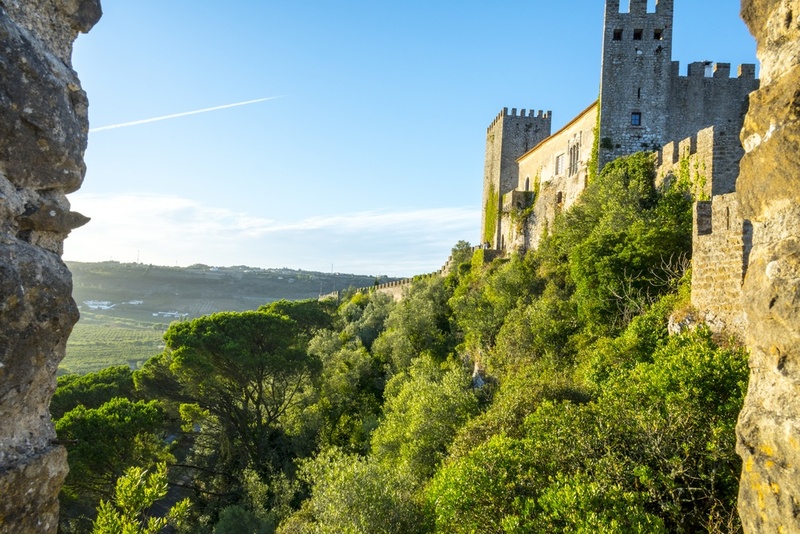 It's just a short drive from Lisbon and is worth spending an entire day there. 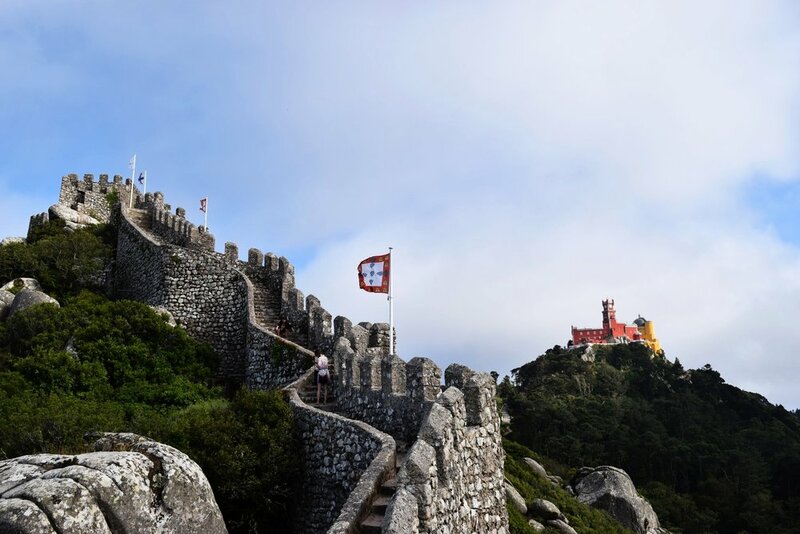 Located in the mountains, it has a cooler climate than Lisbon, which made it the perfect place for Portuguese royalty to build their summer palaces. 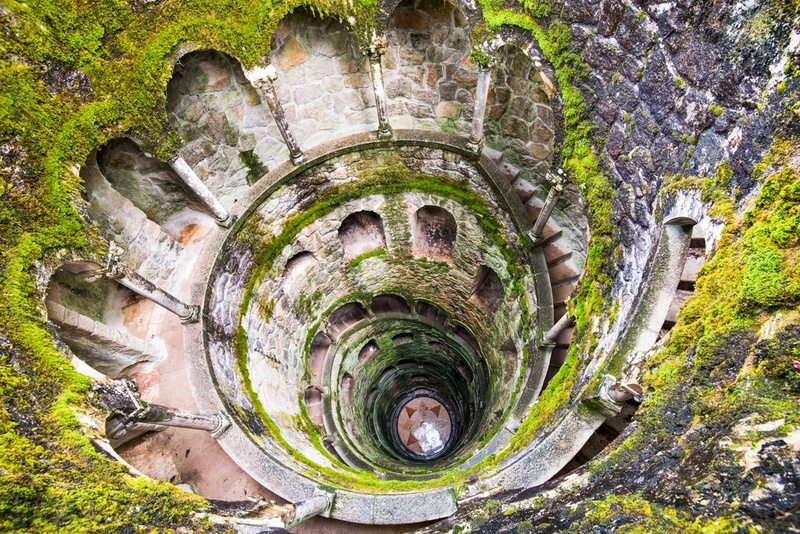 Some of the top sights here include Quinta da Regaleira - a luxurious estate built in the early 1900s by a very wealthy man, and Castelo dos Mouros, or The Castle of the Moors - a stunning medieval castle on a hilltop. On our way back, we also stopped by Cascais and sat by the ocean to enjoy a cold beer and snack - cooked sea snails! 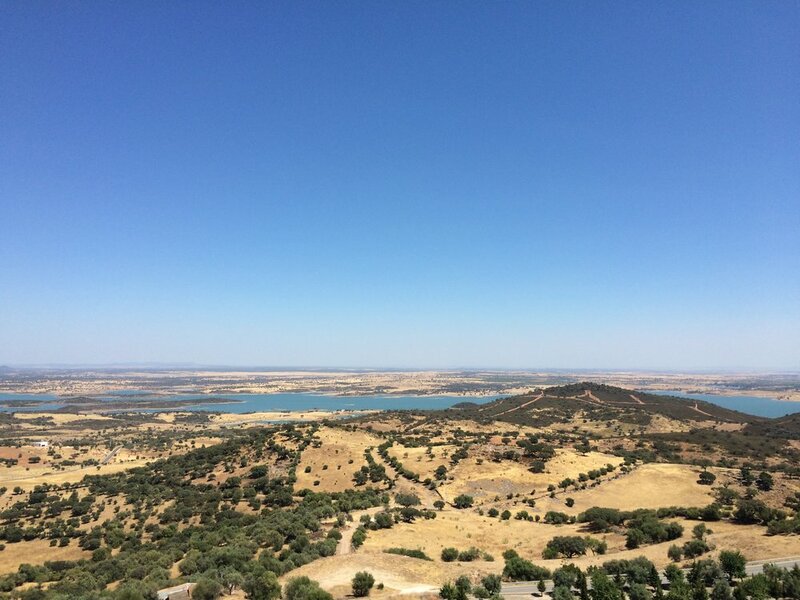 Having driven the night before, we were able to wake up to this beautiful view from our hotel where we could appreciate the seemingly never-ending and mesmerizing Alentejo plains right from our window. Around lunch time we drove to Reguengos de Monsaraz, an incredibly beautiful and well-preserved town where the houses are all painted white and built in a very Alentejan style. After exploring the frozen-in-time streets of Monsaraz, we spent the rest of the day in Évora, a true gem of a town and one of the most beautifully preserved medieval towns in Europe. Here we visited the iconic Roman Temple (or Templo da Diana) and Capela dos Ossos (The Bone Chapel) - one of the most unique and strange chapels in the world, which is completely covered with human skulls and bones. 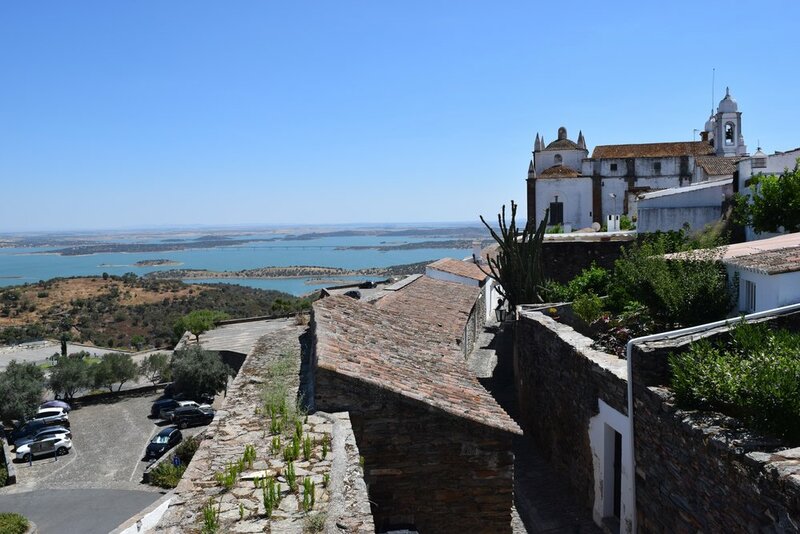 The next day we left the Alentejo and drove north to Obidos, a cute medieval, walled town. 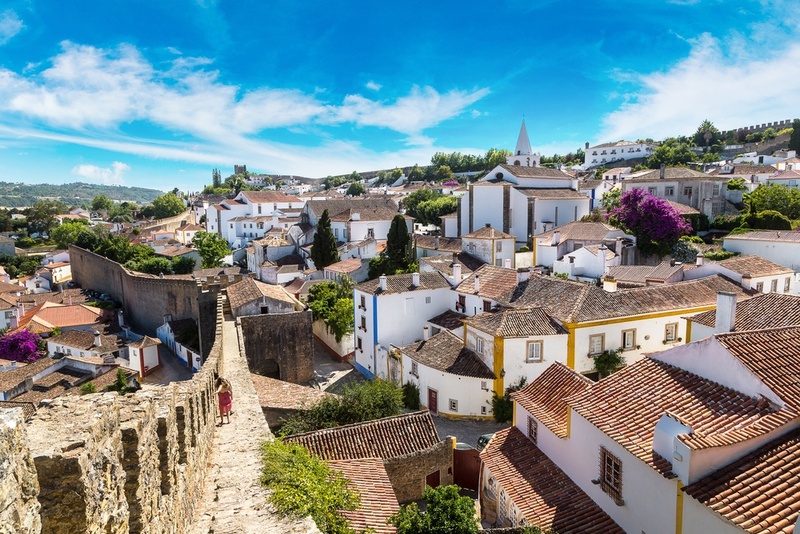 Throughout history, Portugal was almost always at war, and that is why so many of their towns are within the confines of walls. After this short visit, we drove to the coastal city of Sao Martinho do Porto to have the most spectacular seafood. You must try ameijoas ao bulhão pato! And grilled squid! 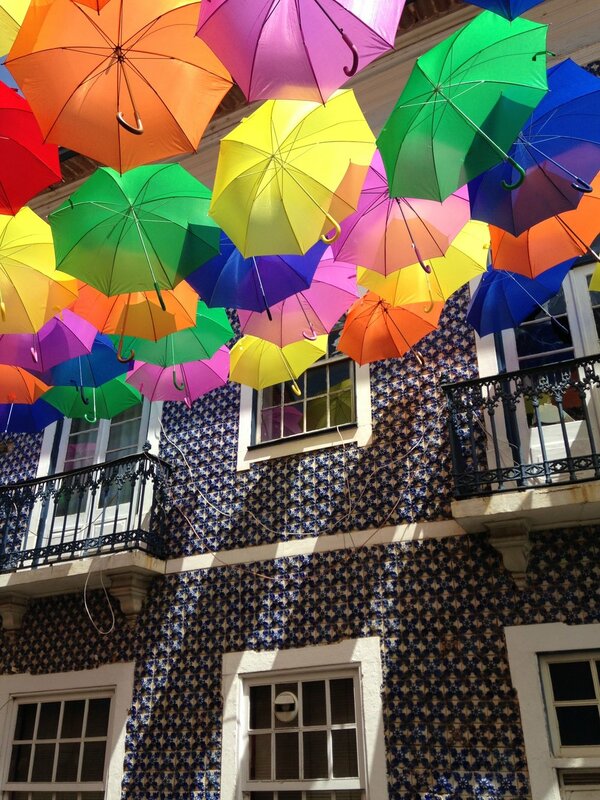 We finished the day in Águeda, a small town that has become famous for being the first to use colorful umbrellas to protect their sidewalks from the hot summer sun. It is the most Instagramable place to visit. 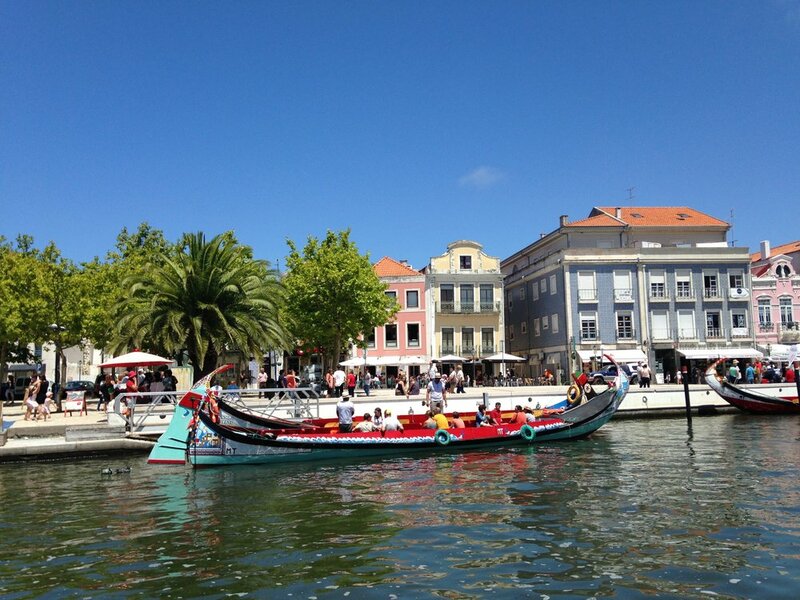 Aveiro is an old town located along the Rio de Aveiro lagoon. It is unique because of its many canals and colorful boats. These boats were traditionally used to harvest seaweed, and now they take tourists along the canals. This is a calm and largely undiscovered treasure, making it the perfect place to spend the day strolling around, taking boat rides, and eating traditional sweets. The city of Porto is also just a short drive away. We rushed less on Day 7, our last day, and allowed ourselves to stop on beaches along the way to swim in the cool Atlantic. For dinner we went to a restaurant called O Rei dos Leitões in the small town of Mealhada, recommended to us by some locals. This was, by far, our best meal in Portugal. 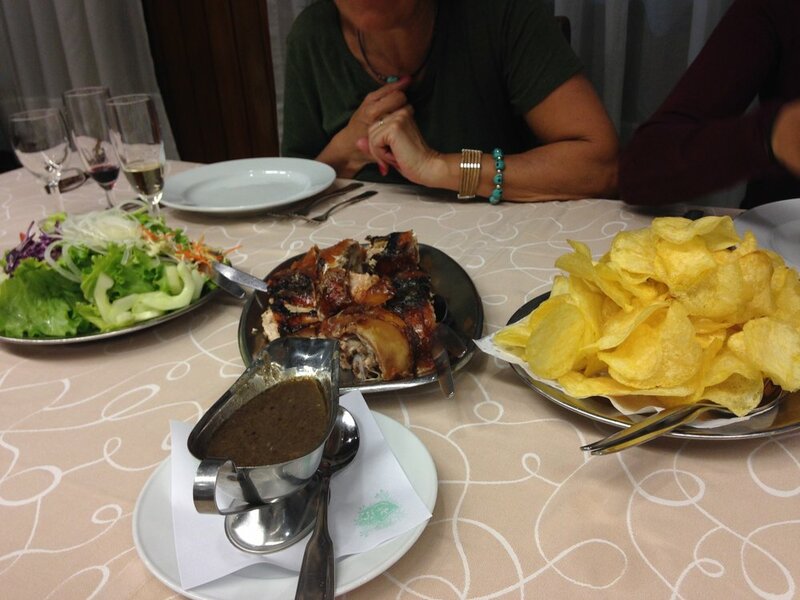 The entire town specializes in leitão, piglet, with a fantastic gravy–type sauce on top. It was the juiciest and most flavorful pork I have ever tasted. Furthermore, it was accompanied by a red sparkling wine, local to that region alone. Needless to say, we returned to Lisbon a few pounds heavier and sad to go back home so soon.